One of the major themes of this week’s readings dealt with the concept of failure, drilling down to how to spot it and why it happens. Whether lacking proper resources, scope or process, failure can occur at any point in a project of any size. So how should companies deal with it? 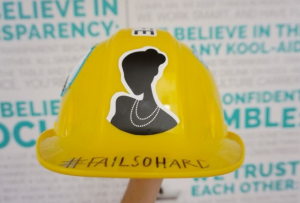 The founders of theSkimm believe that recognizing and celebrating failures helps them move forward. Photo courtesy of @theskimm Instagram. Embracing failure as part of a company’s culture has become a rising trend, especially among startups. 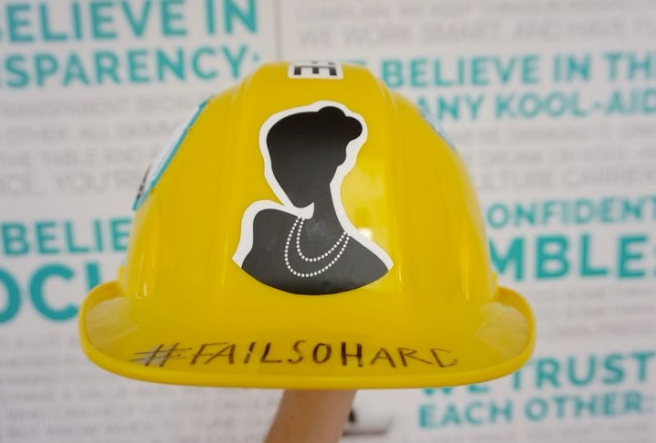 TheSkimm, a daily e-newsletter for millennials, considers accepting and embracing failure as part of its core values, exemplified in its “#failsohard” hat that gets passed around to employees. While accepting failure allows for learning opportunities, it’s also important to recognize when it happened due to poor planning and effort. Failures that could and should have been prevented need to be dealt with differently, which is when it becomes important to spot the signs (i.e. lack of communication, scope changes) before it happens. Accepting failure as part of company culture is a bold, risky strategy that, if done properly, can leave room for major innovation. However, it is understandable that not all companies are jumping on board to cheer on project or product failure. I plan to closely follow companies like theSkimm to see if integrating this type of culture actually leads to major benefits in the long run.